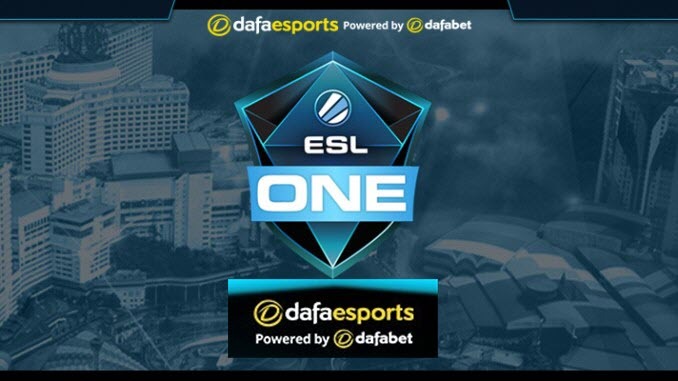 The final weeks of the Dota year have focused on the qualifiers for the first ESL One tournament of 2019. With eight invited teams covering all six regions, there were only four spots left to fill – one each from Europe, North America, China and South-East Asia. Europe was the primary recipient of invites – Team Secret, Ninjas in Pyjamas, OG and Alliance all heading straight to the play-offs. Looking to join them were Gambit Esports, Vega Squadron, Team Empire Faith and Team Spirit. In some initial upsets, both Open Qualifier teams, Empire and Spirit, managed to beat their opponents – 2-1 v Gambit and 2-0 v Vega Squadron respectively – in order to meet in the Upper Bracket Finals. Spirit emerged as 2-1 victors following some strong, early-game focused drafts. In the Lower Bracket, Gambit looked to come back strong, taking a hard-fought 2-1 victory against Vega Squadron, and in the rematch against Empire Faith, taking them down, also 2-1, with some impressive carry play from Afoninje on Mirana. Heading to the Grand Finals against Team Spirit, they fought through the automatic 1-0 deficit from coming through the Lower Bracket and managed to take the match 3-2 to earn their ticket to Katowice. In North America, only Forward Gaming were invited to Katowice, with paiN from South America also participating, leaving J.Storm, Test123, TEAM TEAM and compLexity to fight it out. While compLexity have struggled recently, they showed some significant improvement here, taking out Test123 and J.Storm 2-1, the latter having beaten TEAM TEAM 2-0. J.Storm then came through the Lower Bracket to set up a Finals rematch. While compLexity had a 1-0 lead from the Upper Bracket, J.Storm equalised in a quick, 26-minute game off the back of Moo’s Phantom Assassin. The next matches, while longer, showed that compLexity had very much improved as, thanks to strong carry performances from Meracle, they were able to take the next two, securing their place in Poland. With only Team Aster from China being invited, it was up to EHOME, Royal Never Give Up, Team Root and For The Dream to see who would take their place beside them in Katowice. Much like in Europe, the bracket started with two heavy upsets. For The Dream, having enjoyed very little success beforehand, took down Royal Never Give Up 2-0, while Team Root saw off heavyweights EHOME 2-1. In the Upper Bracket Finals, For The Dream continued their dark-horse run with another 2-0 win against Team Root. Pushed into the Lower Bracket, EHOME were determined to make their way to Katowice, starting their run off with a 2-1 victory over RNG, almost throwing away the final game in a bad teamfight, before managing to stabilise and claim the victory. Their Team Root rematch was much more one-sided, with a 2-0 victory off the back of Faith_bian and eGo. In the Finals, they were able to take the first game of the series with an unconventional Razor pick from ASD, before losing straight afterwards, putting them match point down. While the next game was quick (just over 24 minutes), the final game lasted more than an hour, but even with a bad teamfight at the end which saw For The Dream recover partially, EHOME were able to close out the victory. With Fnatic invited, TNC Predator, Lotac, Team Admiral and DeToNator were left to fight out the Qualifier. As seemed to be tradition in these qualifiers, there was a major upset in the first round, with TNC Predator falling to DeToNator 2-1, while Lotac took down Admiral, also by a 2-1 scoreline. Meeting in the next round, Lotac swept DeToNator to reach the Finals. Now in the Lower Bracket, TNC went on to show that they were the superior SEA team, taking down Admiral 2-0, and then in their rematch with DeToNator, managed to take a much cleaner 2-1 victory.